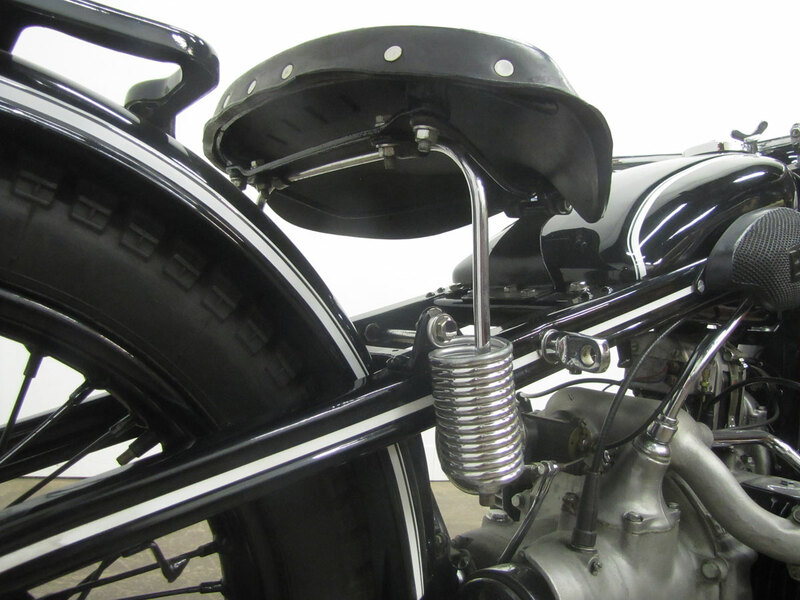 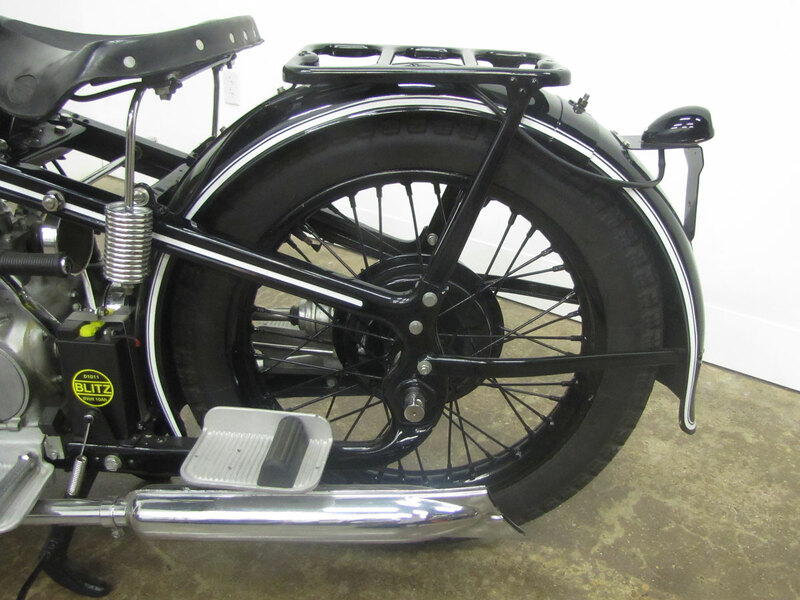 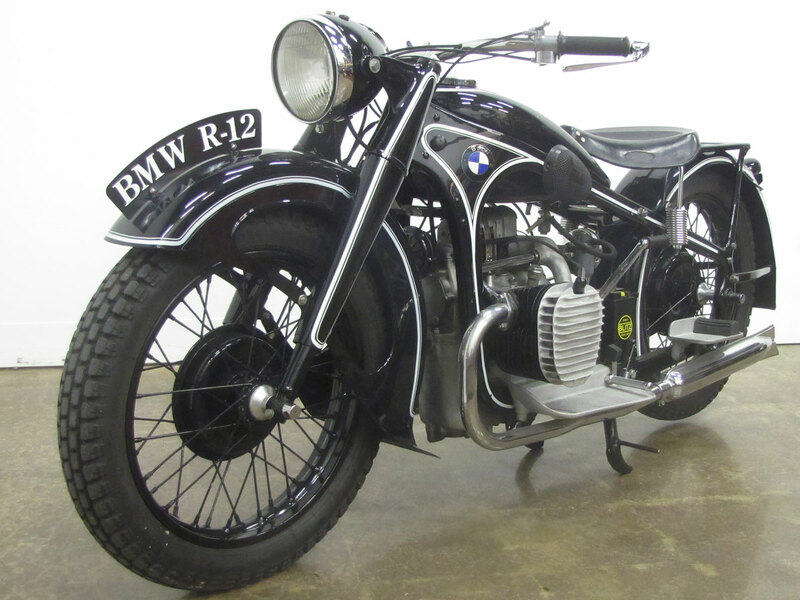 The BMW R12 and R17, both introduced in 1935, used unique pressed steel frames and may have been the first production motorcycles with hydraulically-damped telescopic forks. 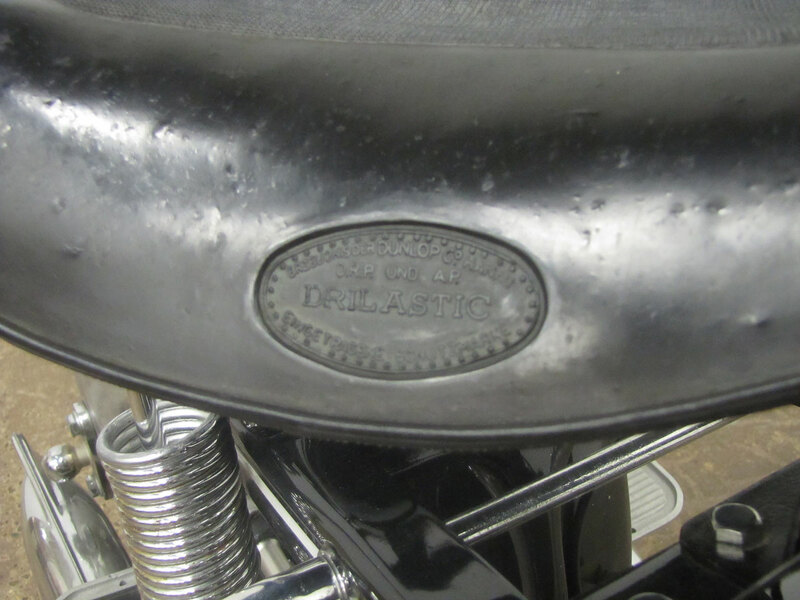 Steel pressing equipment BMW used for automobile manufacturing led the company to this chassis design solution through about 1942. 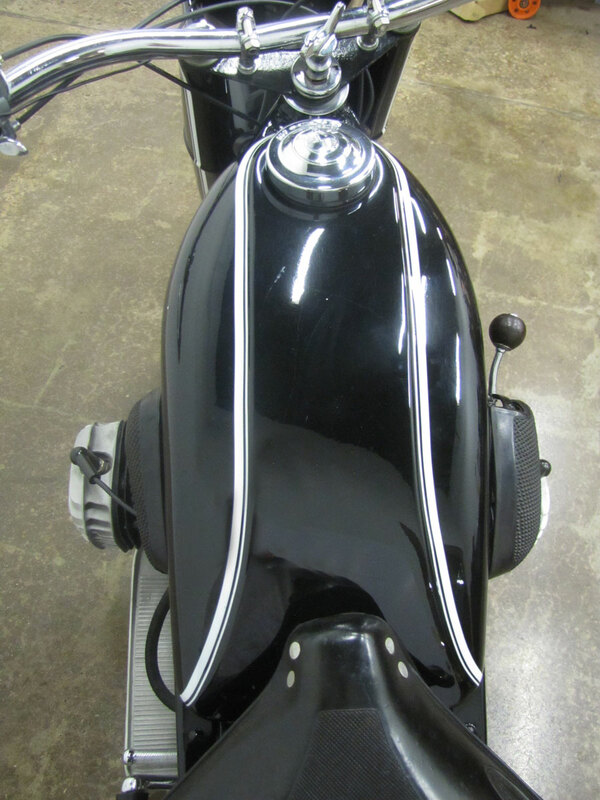 It also offered interesting “art deco” styling possibilities. 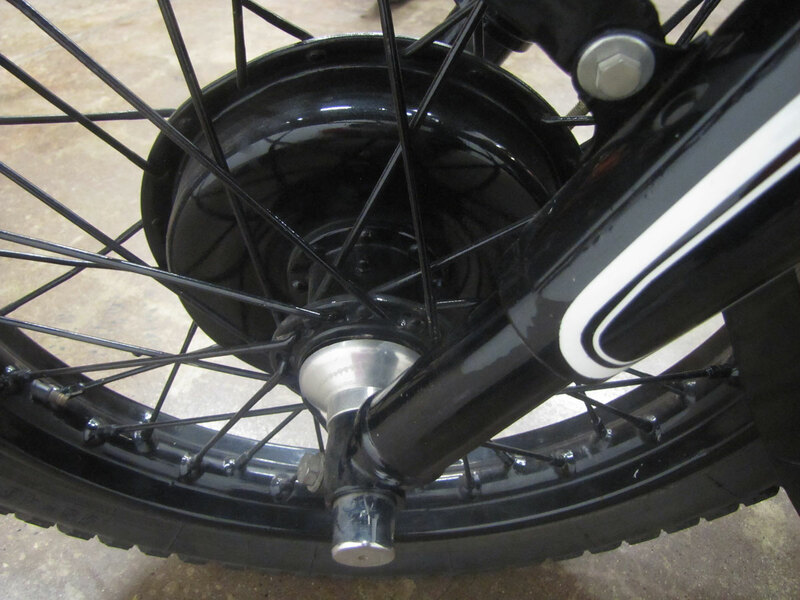 Practical, these bikes had interchangeable wheels. 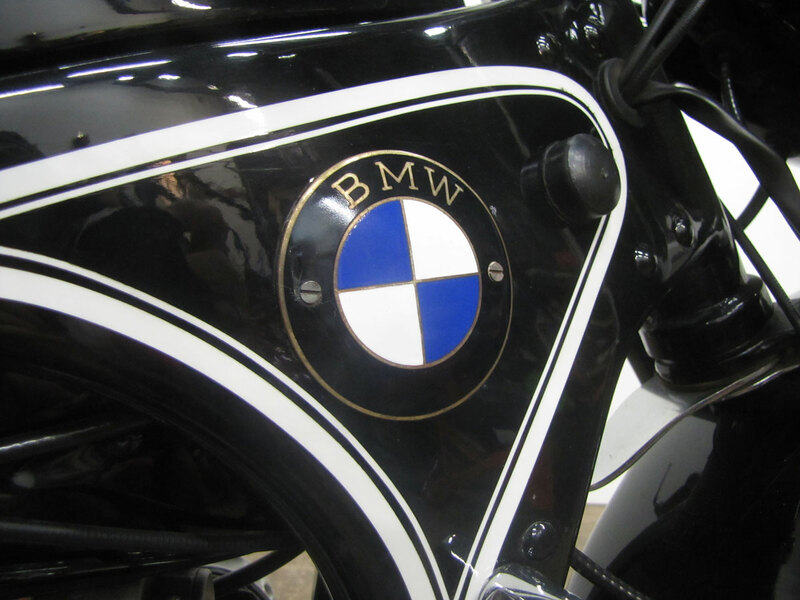 BMW, or Bavarian Motor Works, was formed about 1916. 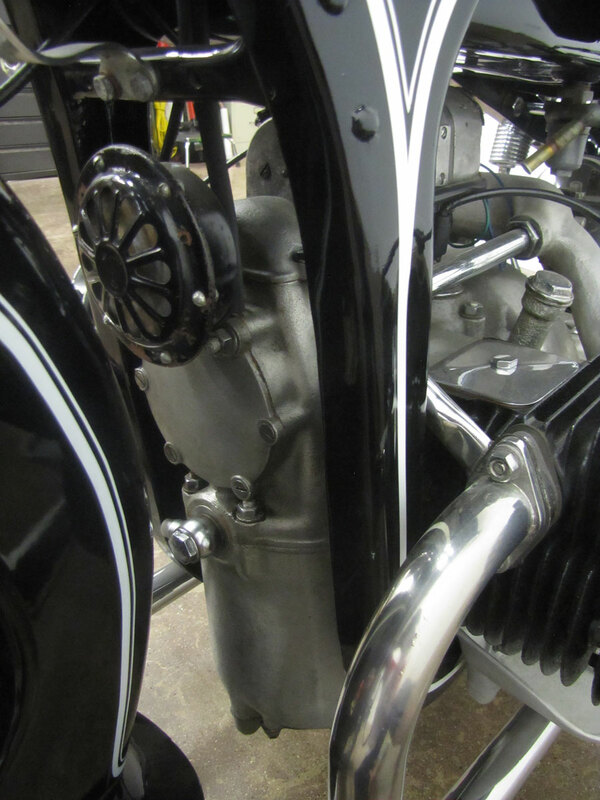 The first products were aircraft engines. 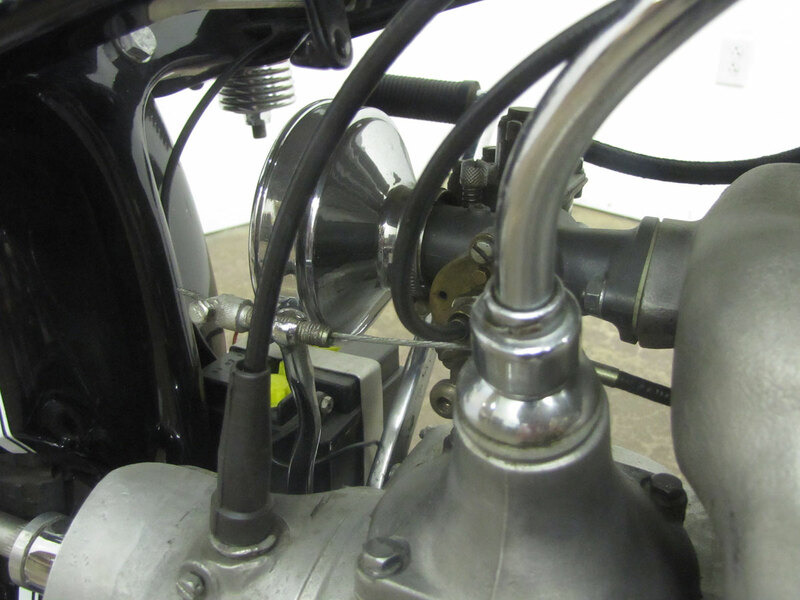 The “boxer” engine layout worked for aircraft keeping the cylinders exposed to cooling airflow. 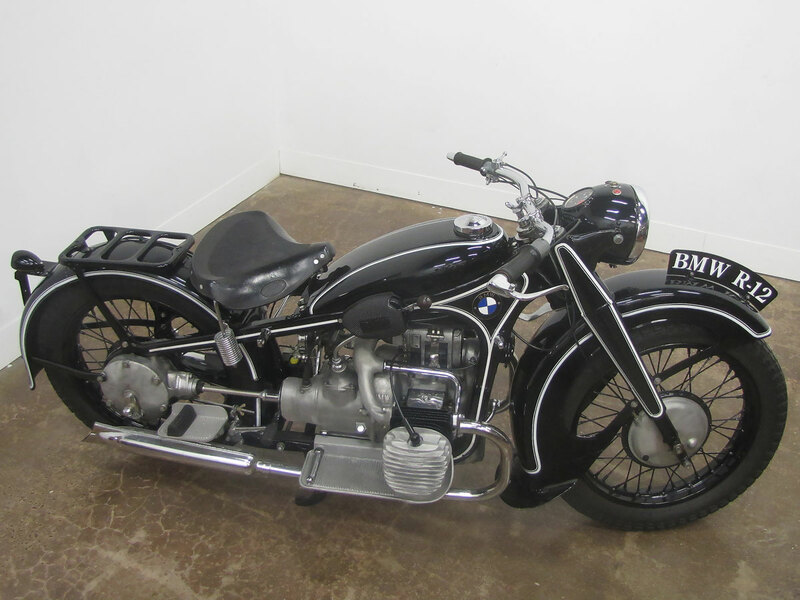 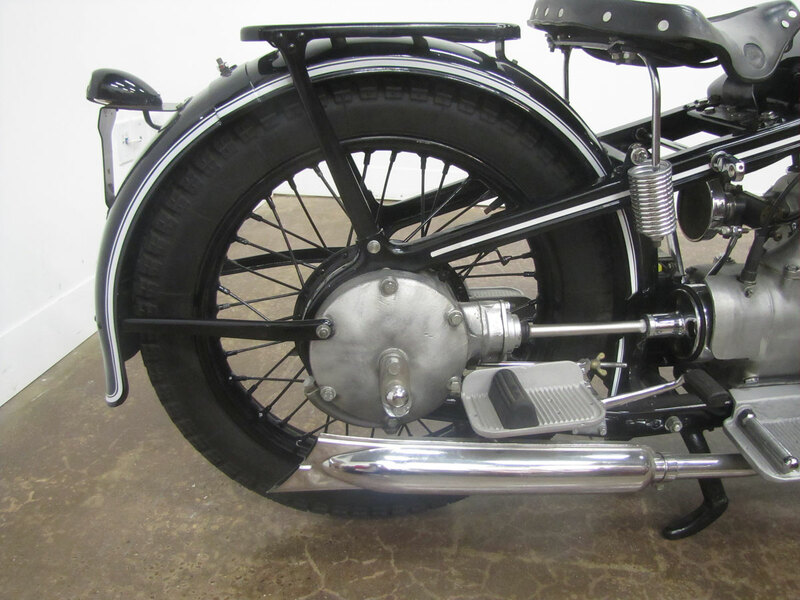 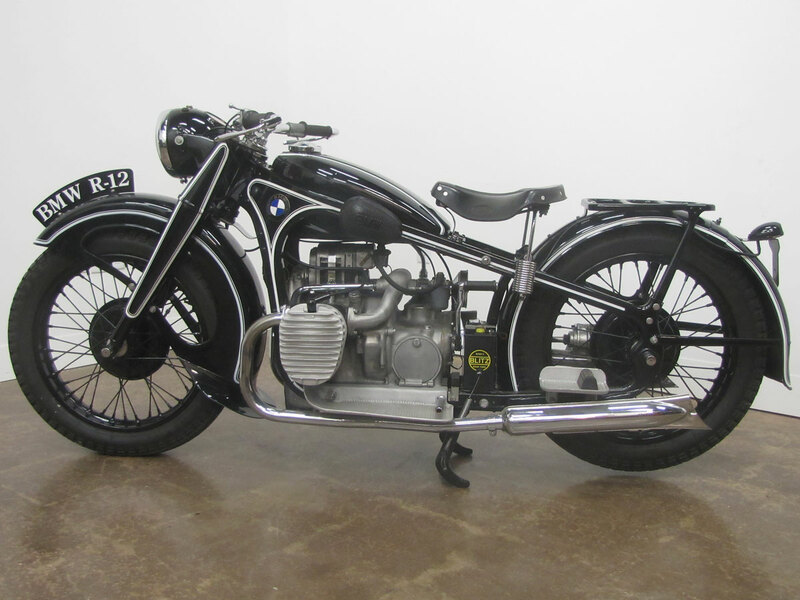 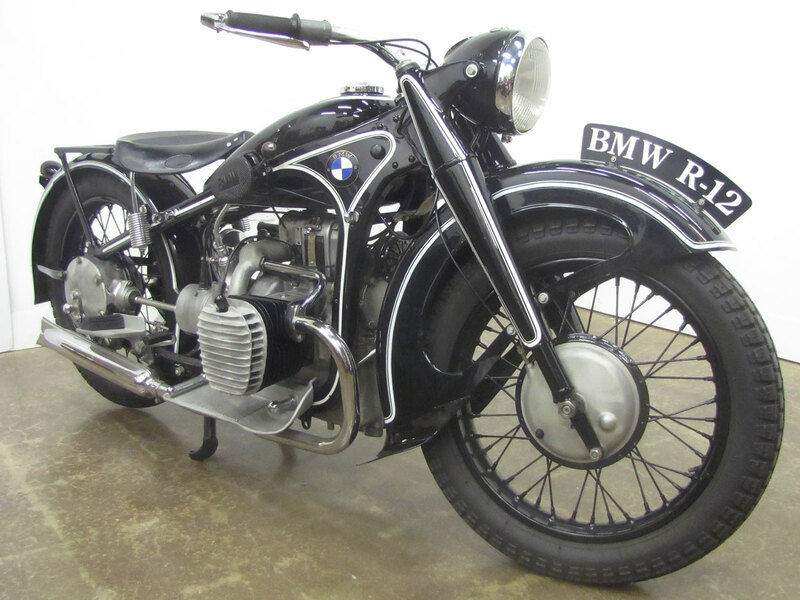 This layout also worked well for motorcycles and BMW built their first in 1923 but previously supplied engines to then current motorcycle manufacturers. 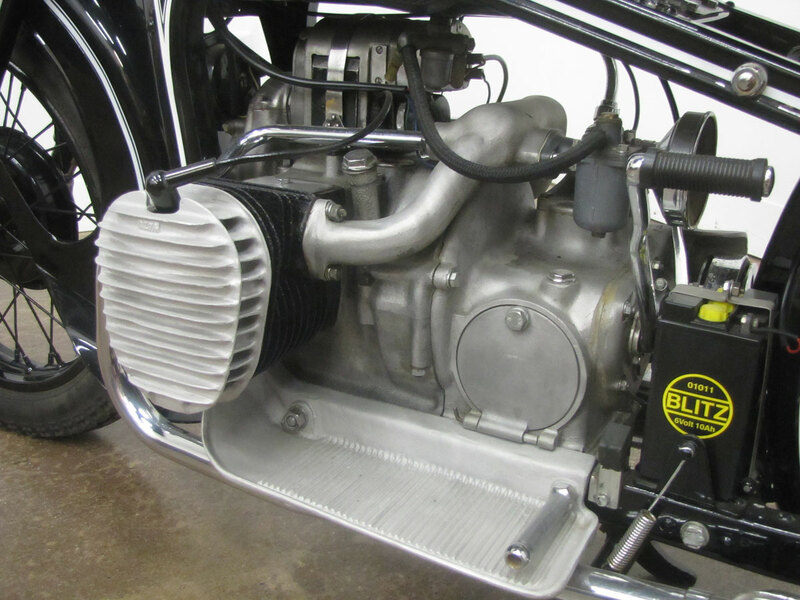 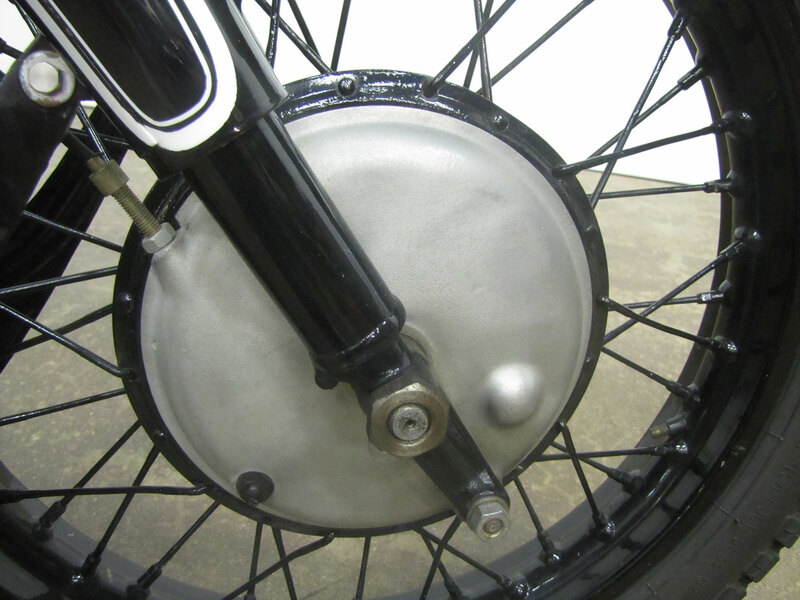 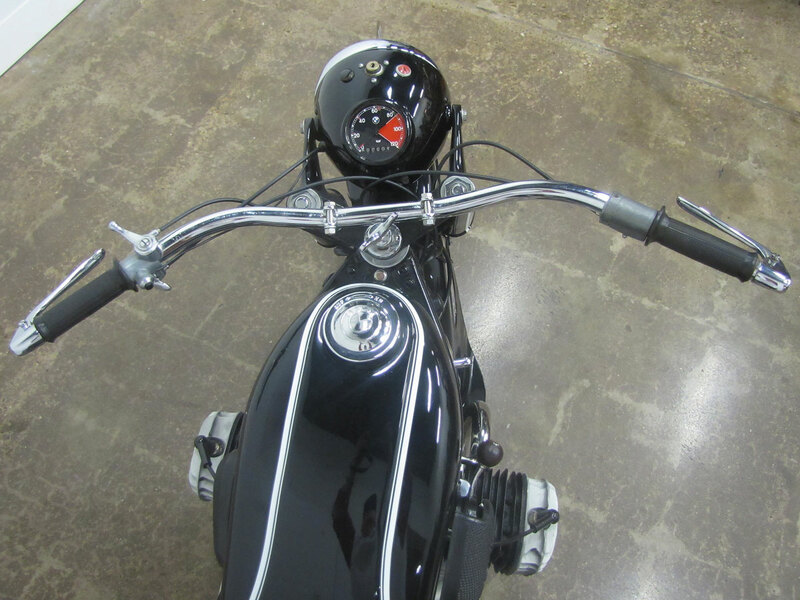 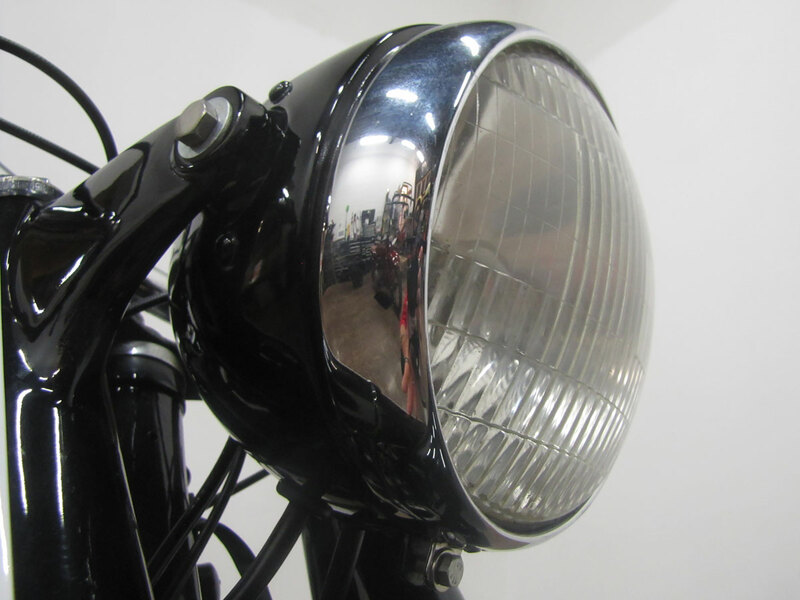 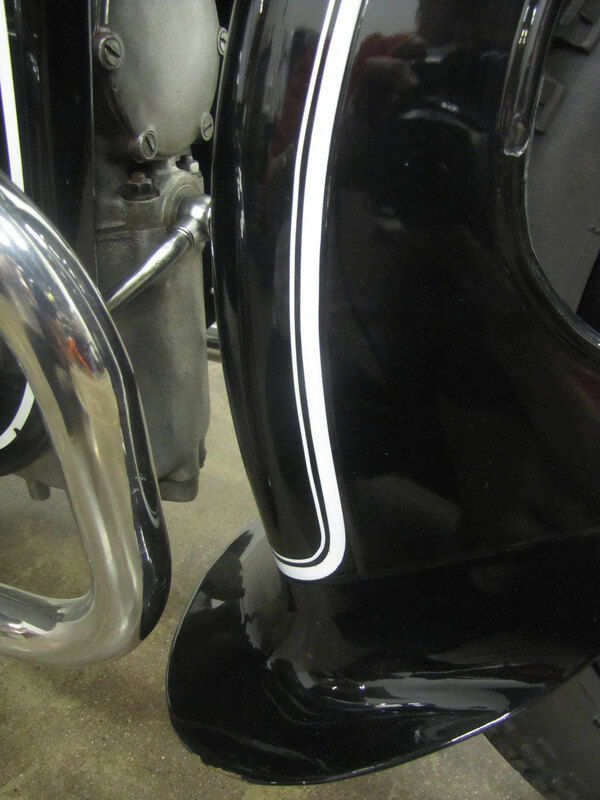 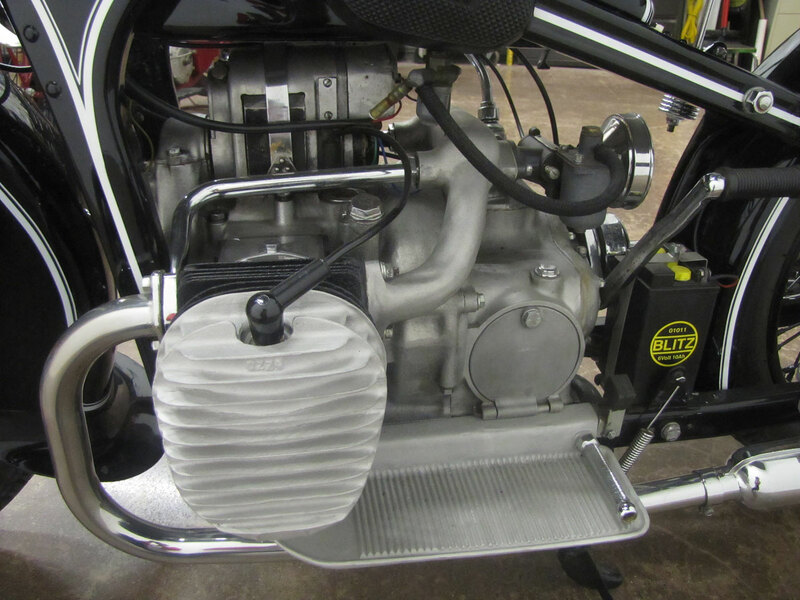 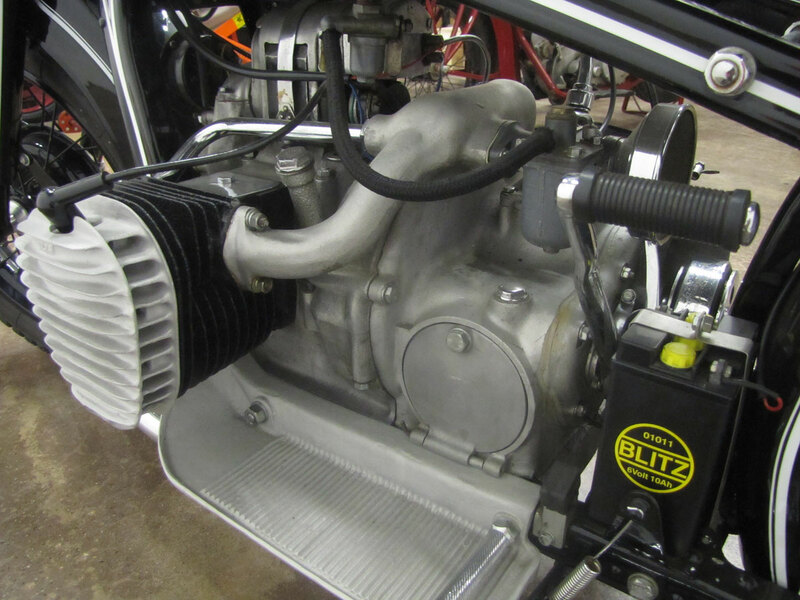 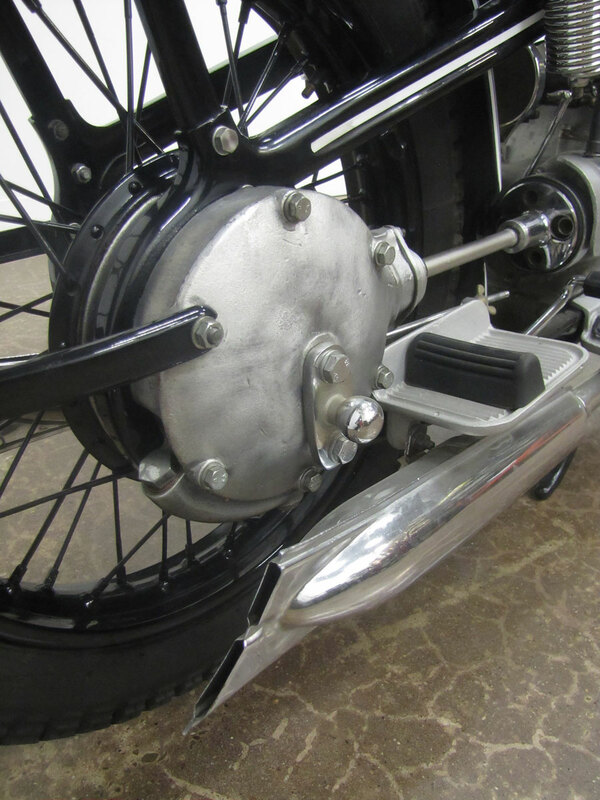 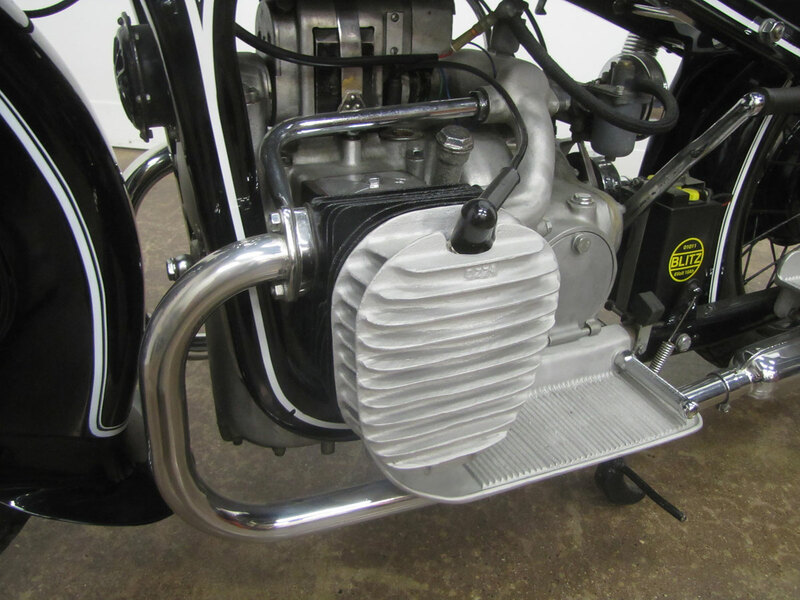 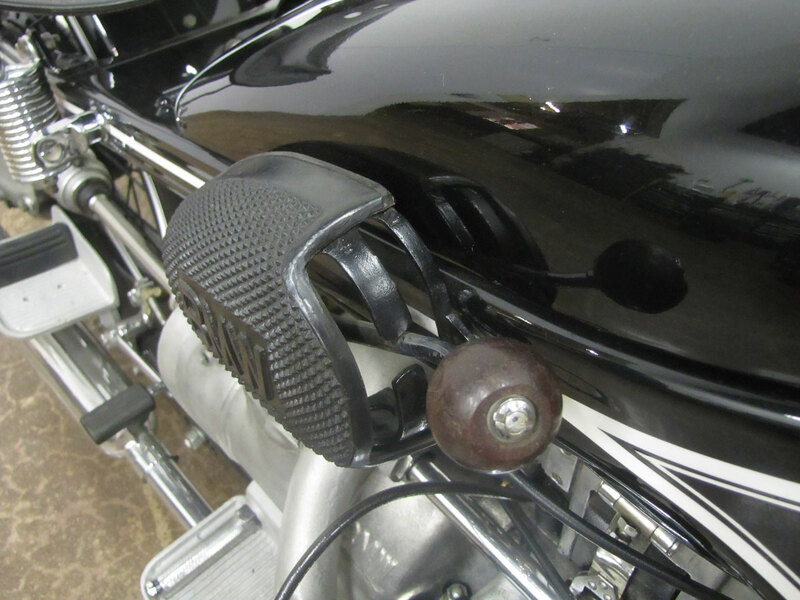 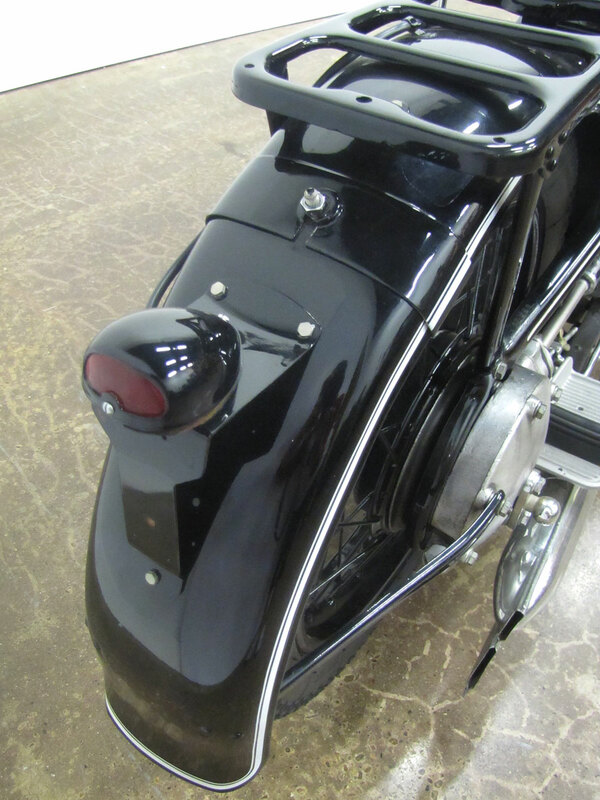 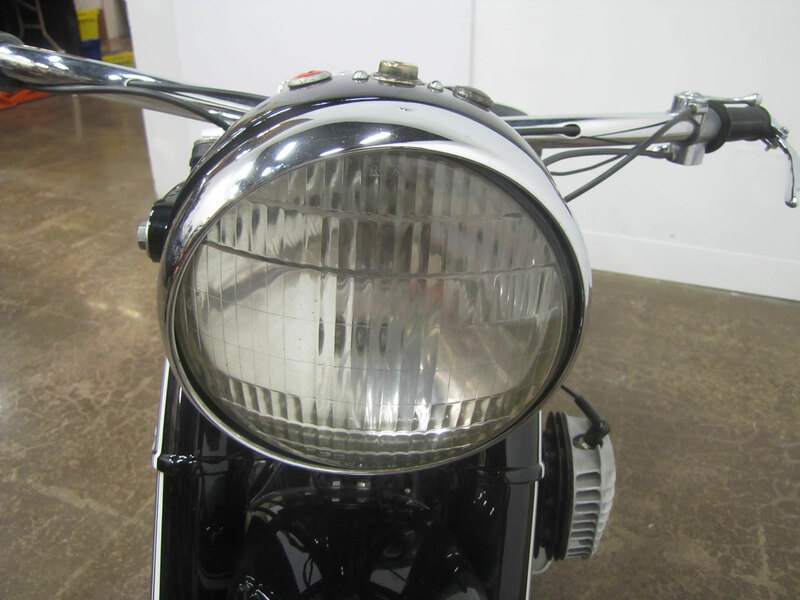 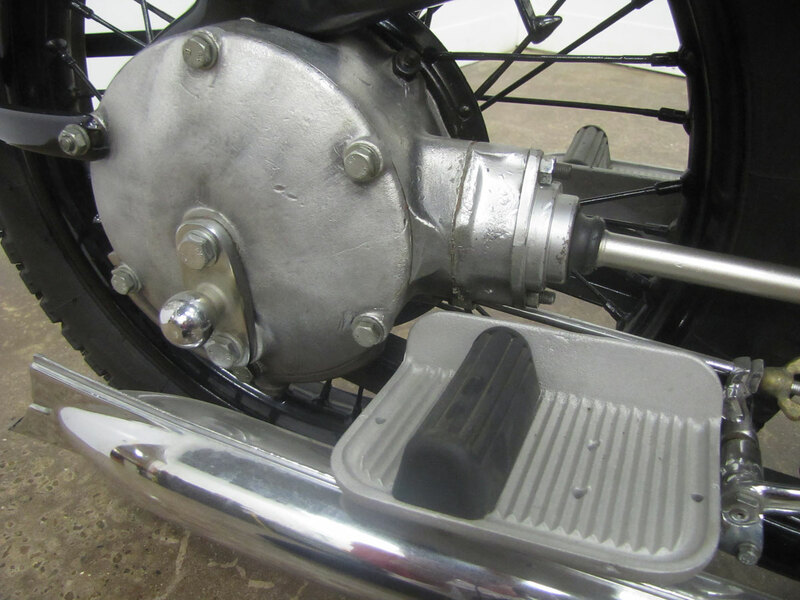 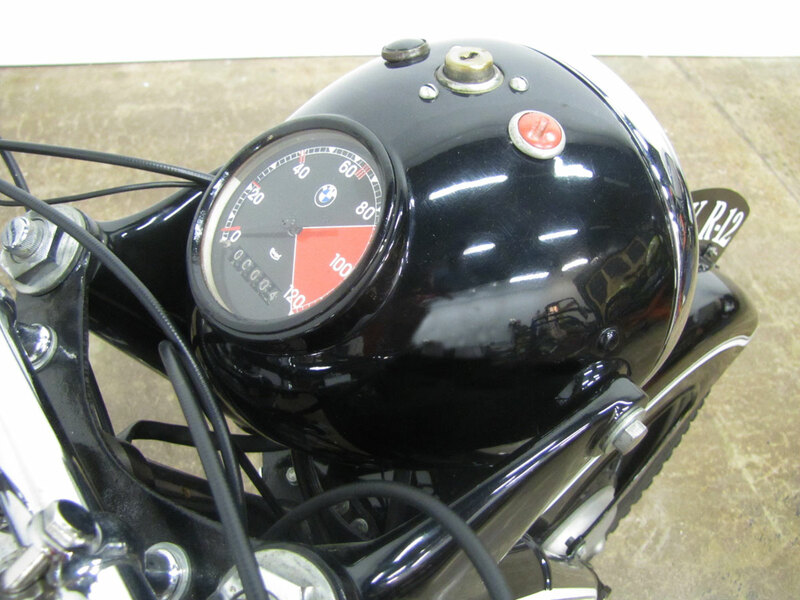 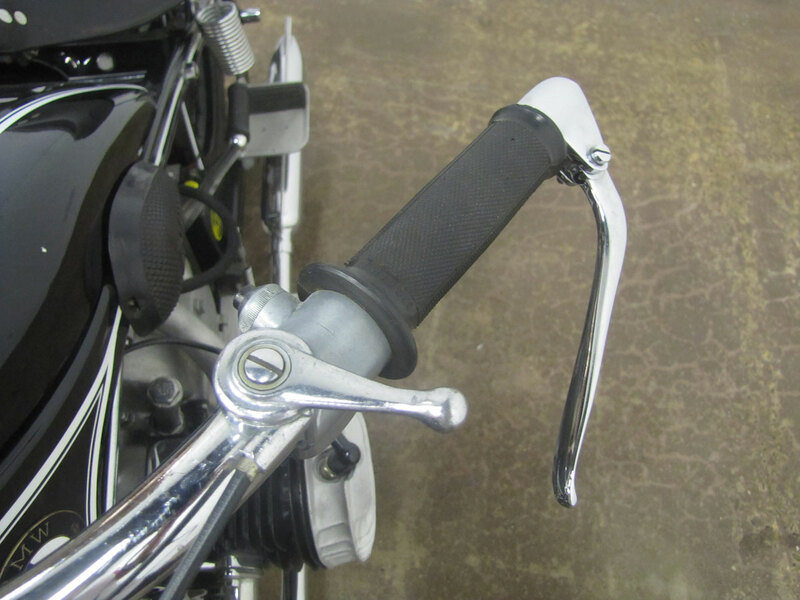 The in-line layout, crankshaft in line with the motorcycle’s length, made it a natural to use a direct connection between the engine and transmission, then a shaft to the rear wheel. 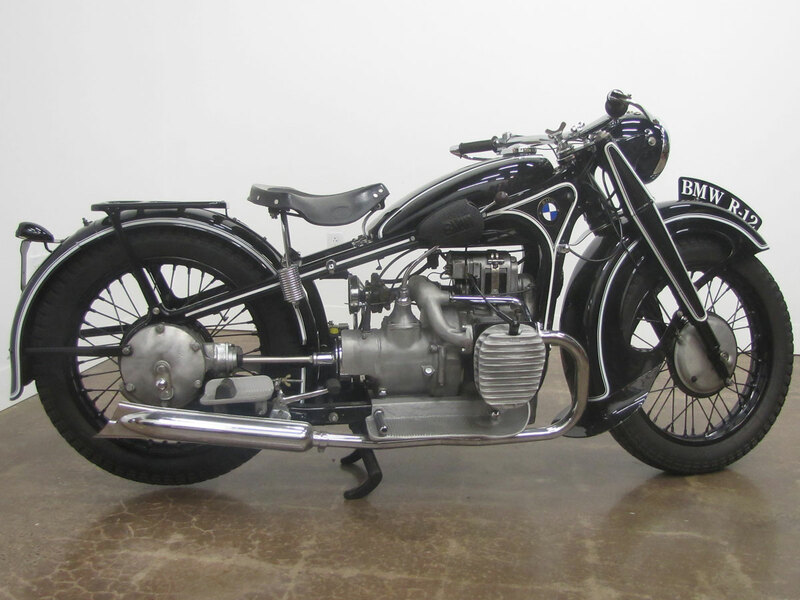 In a sense BMW’s time with aviation designs set its path, with few deviations, for the next 75 years. 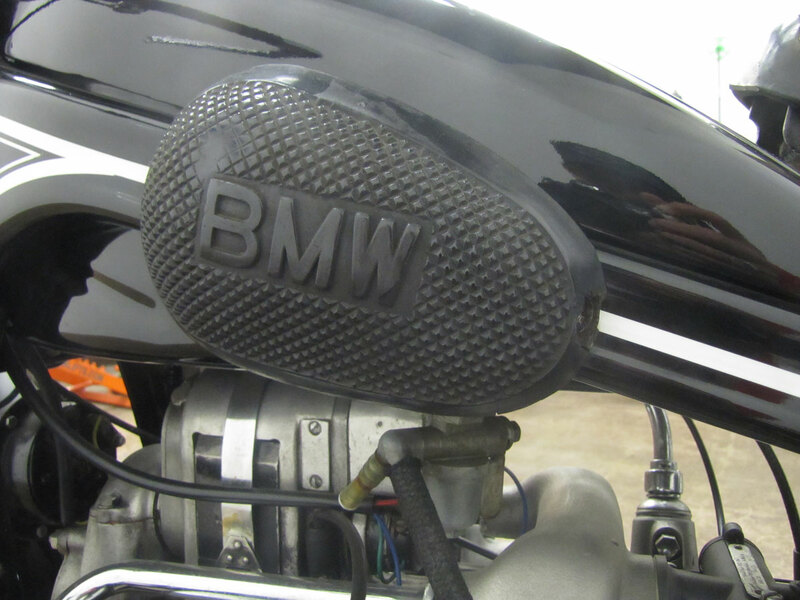 Now BMW uses in-line and transverse fours, transverse twins and singles and even belt drive! 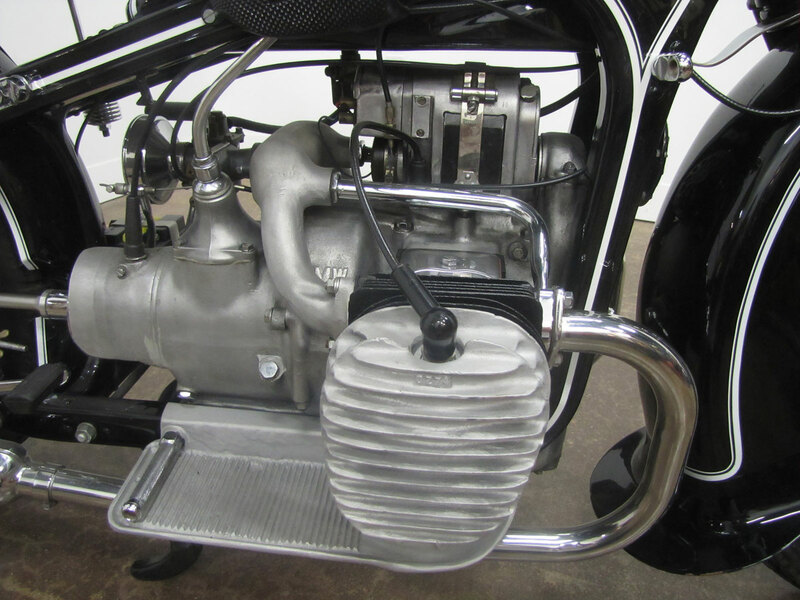 But shaft-driven boxers, now even liquid cooled, remain a mainstay in the model offerings. 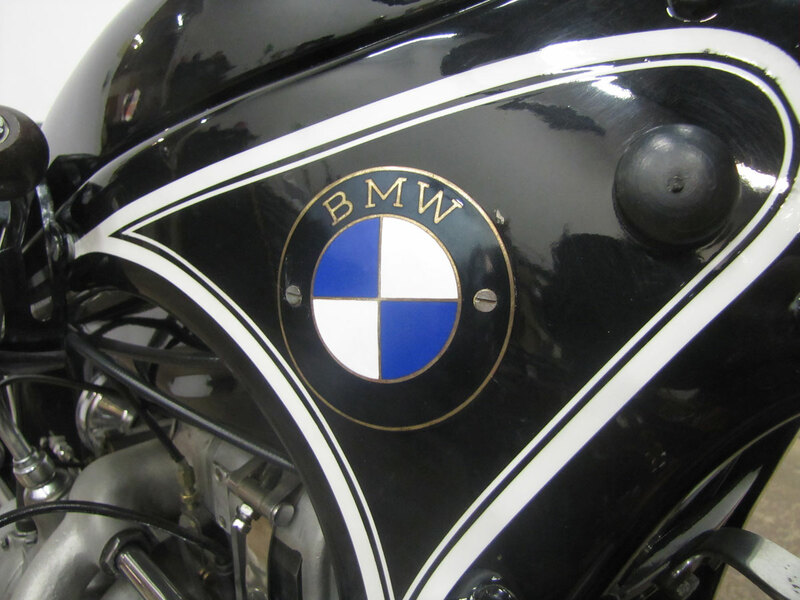 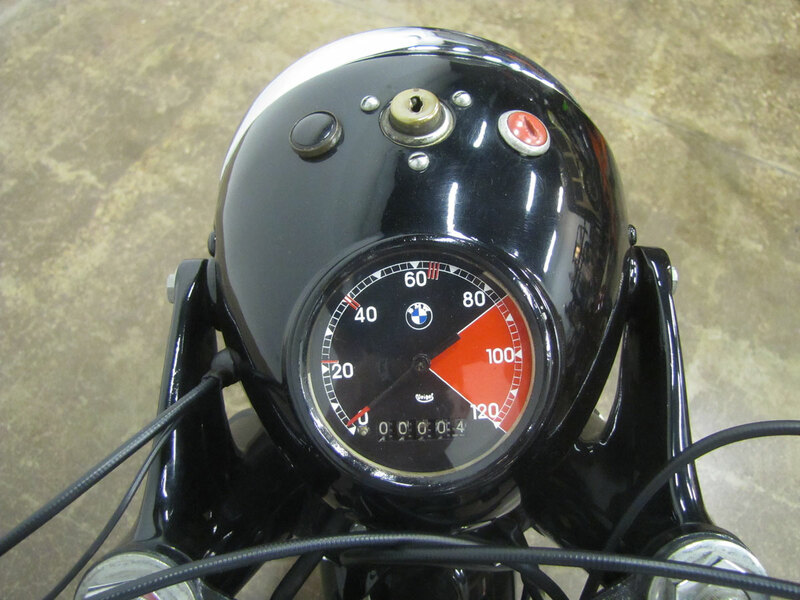 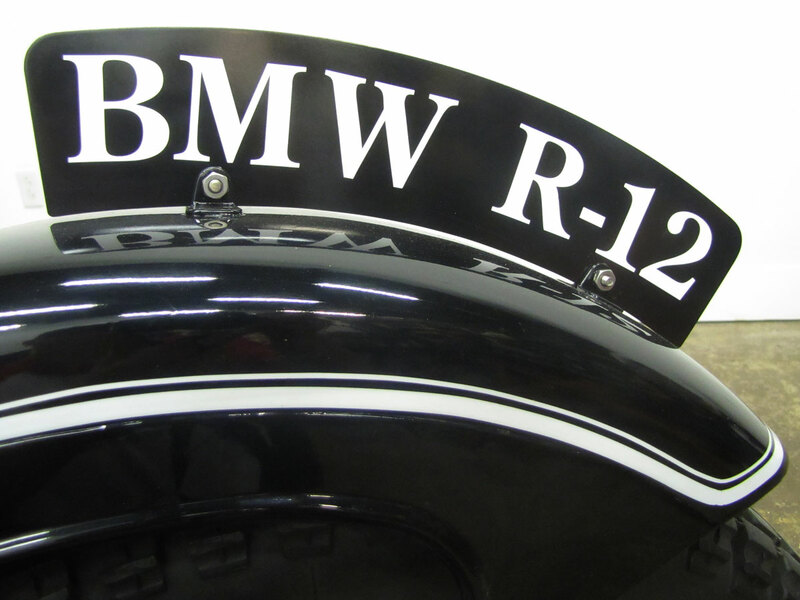 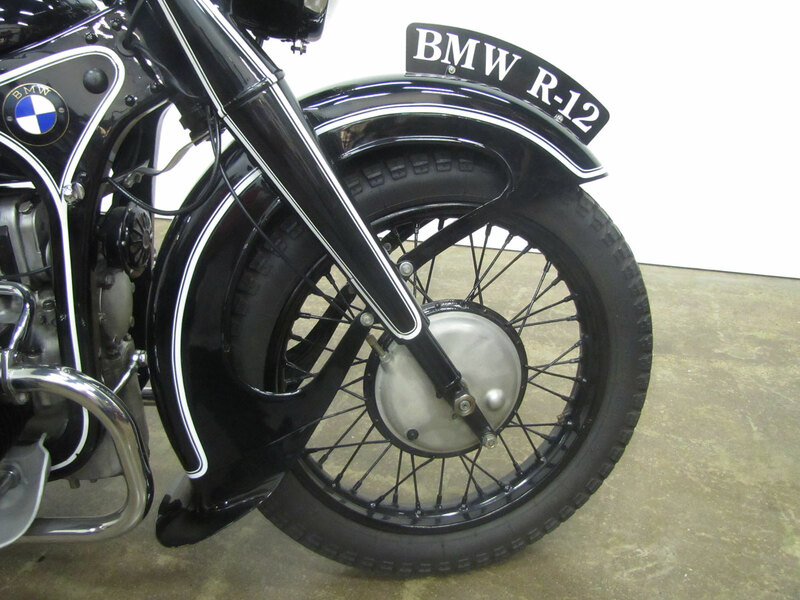 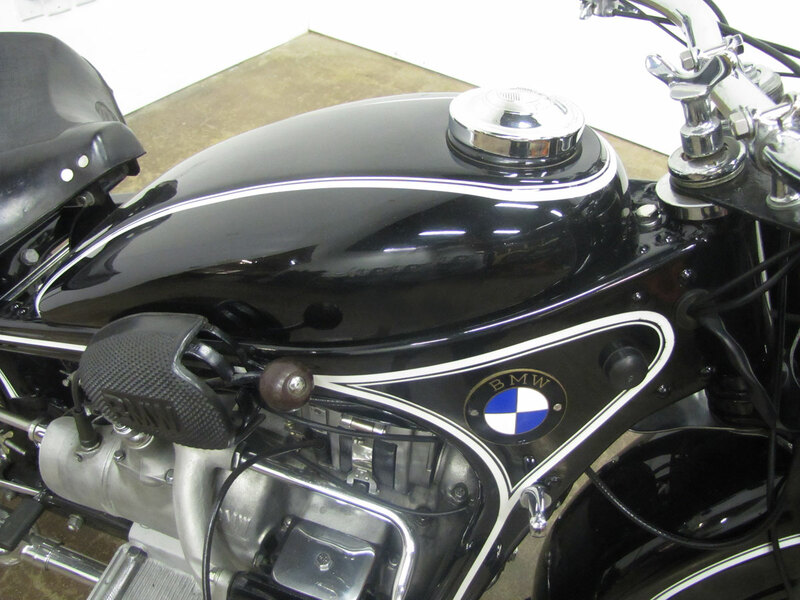 With the introduction of the R11, BMW began using a new frame made of left and right side pressed steel halves riveted together. 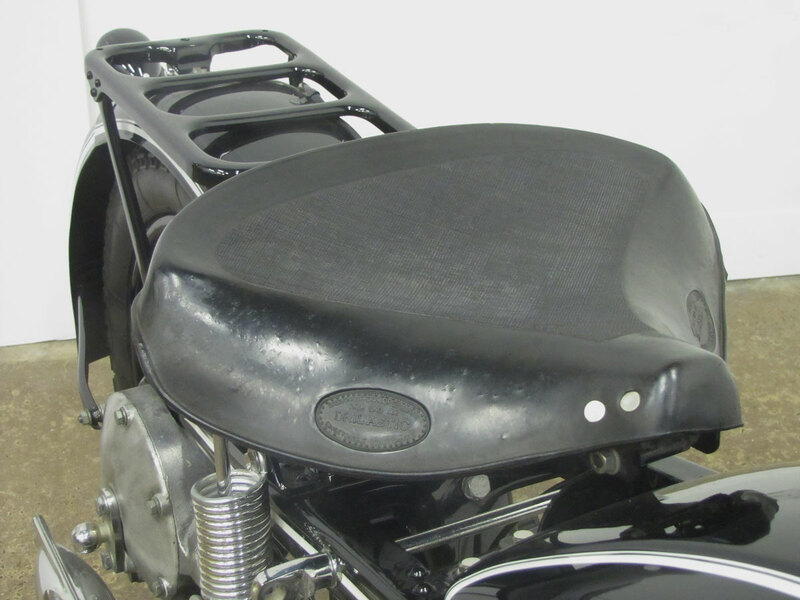 With common use of sidecars previous frame designs sometimes fractured. 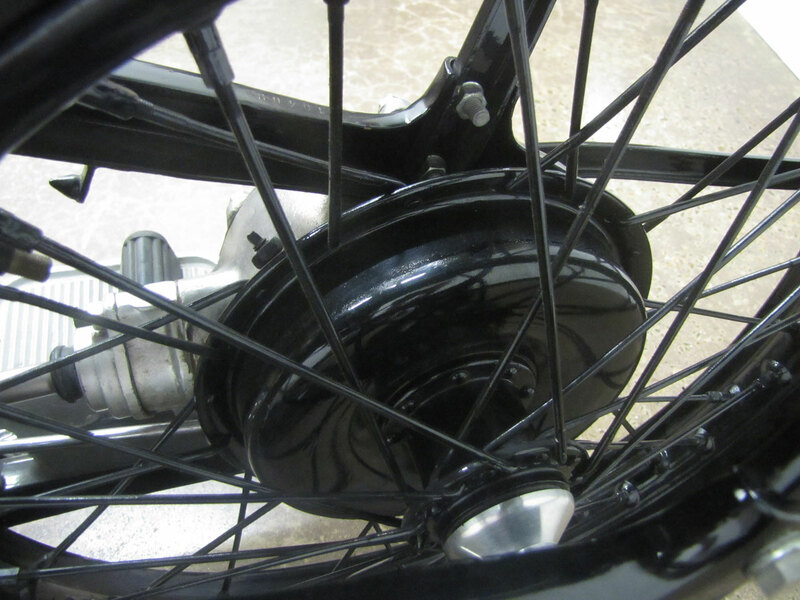 Though it’s pressed steel design reminds us of the earlier leading link designs, with the R12 also came hydraulic front suspension. 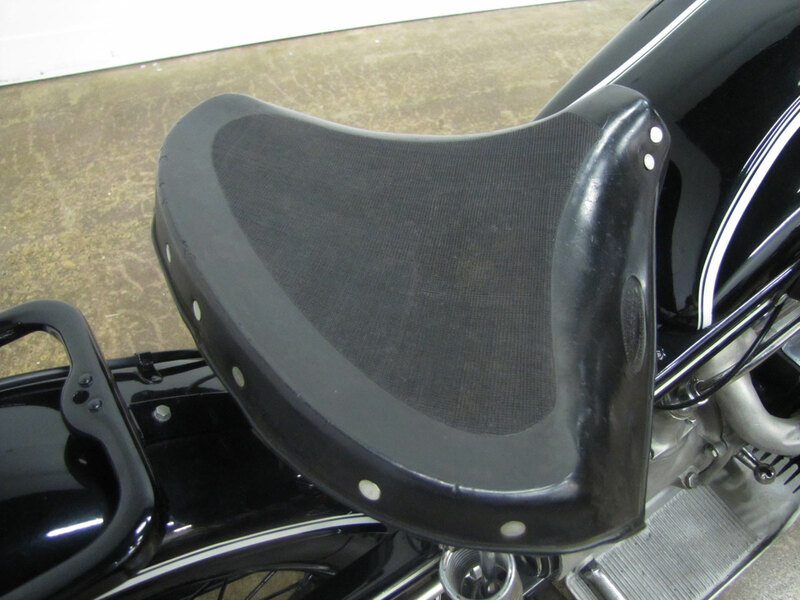 Sprung seats were all that was offered to damp bumps at the rear of the motorcycle. 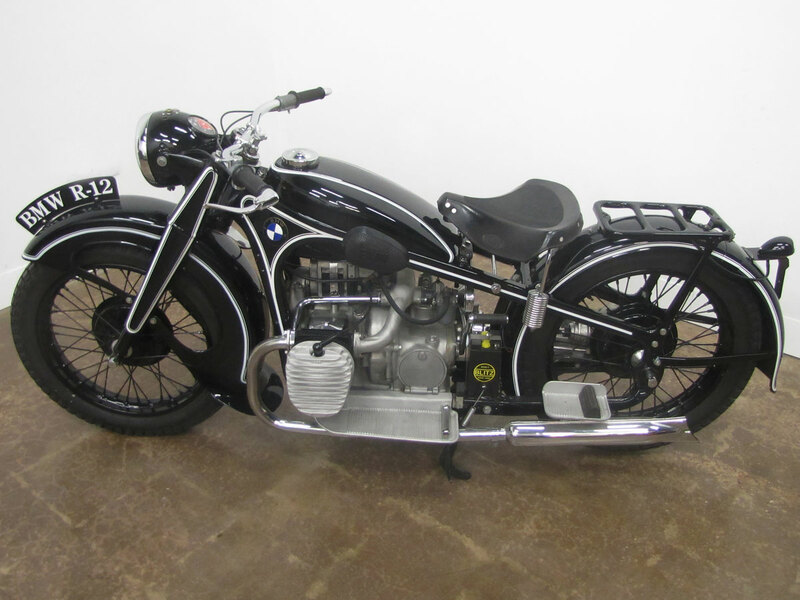 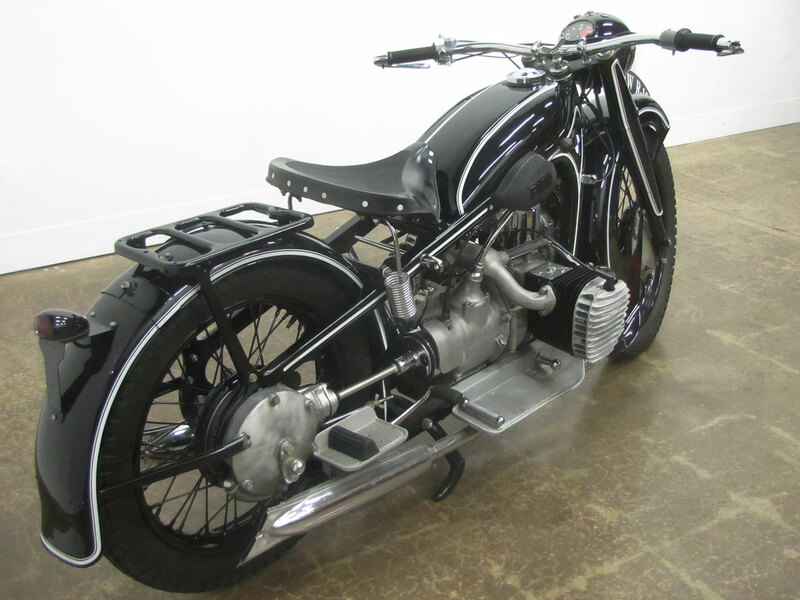 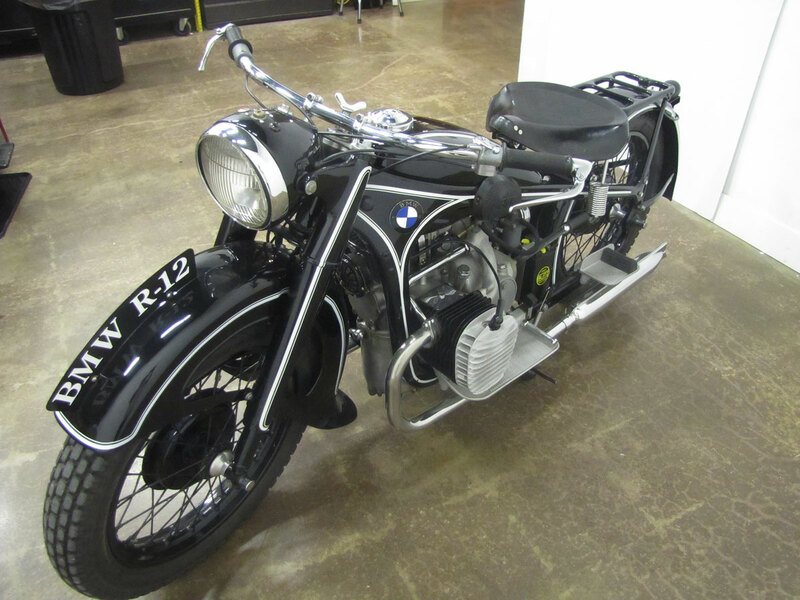 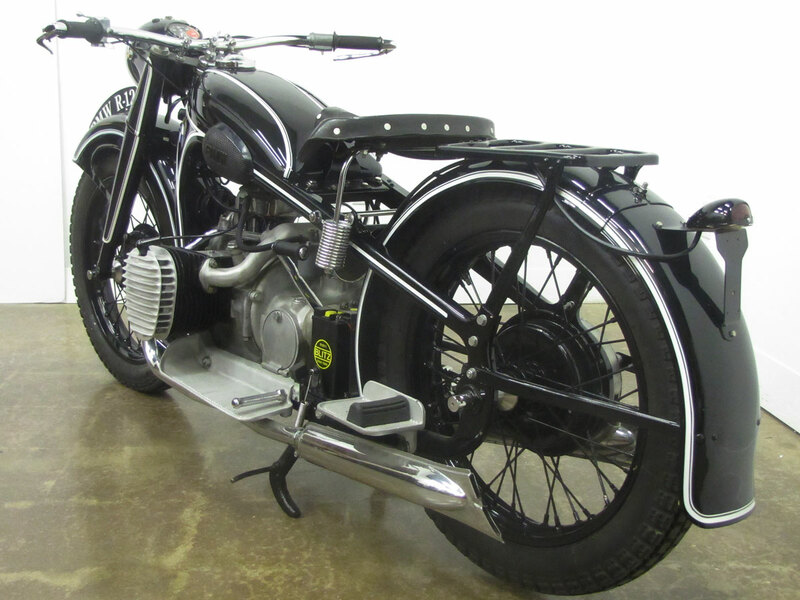 When you visit the National Motorcycle Museum you can view many great European bikes including early BMW’s, a rare Opel Neander, a Husqvarna V-Twin, Ducatis, Moto Guzzis and Aermacchis including the 175cc Chimera which won the motorcycle class at the Pebble Beach Concours d’Elegance in 2011.